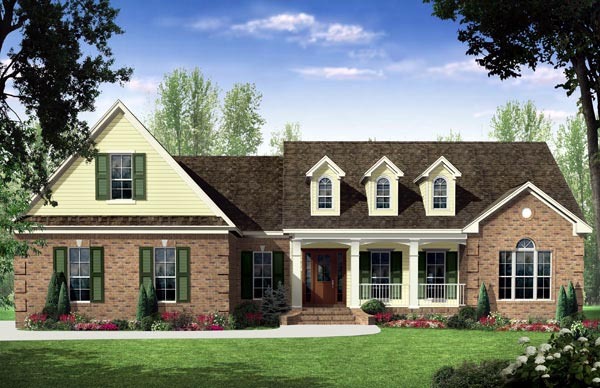 This inviting home has European Country styling with upscale features. The front and rear covered porches add plenty of usable outdoor living space, and include that much-requested outdoor kitchen. 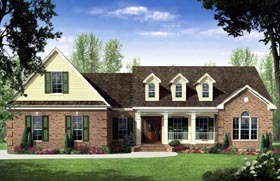 Expansive great room includes 12' ceilings and features built-in cabinets and a gas fireplace. The spacious kitchen features an island, a large eating bar, and breakfast area. The master bedroom has a raised ceiling and opens into the well-equipped bath with dual lavatories, oversized jet tub, and large his and her walk-in closets. Space is also provided for that home office that you've always wanted. A bonus room also provides a perfect place for storage or future expansion. This is a very flexible home with plenty of options to choose from. Make this your family's next home!